Regardless of the type or size of business, you're running, asset recovery is a critical process for several reasons. 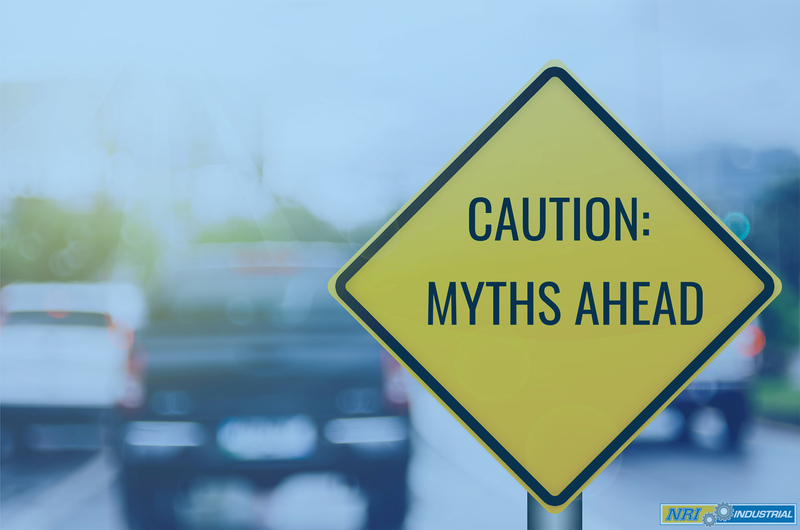 Large industrial equipment that is no longer generating value for your organization isn't technically an asset at that point - it's a liability. 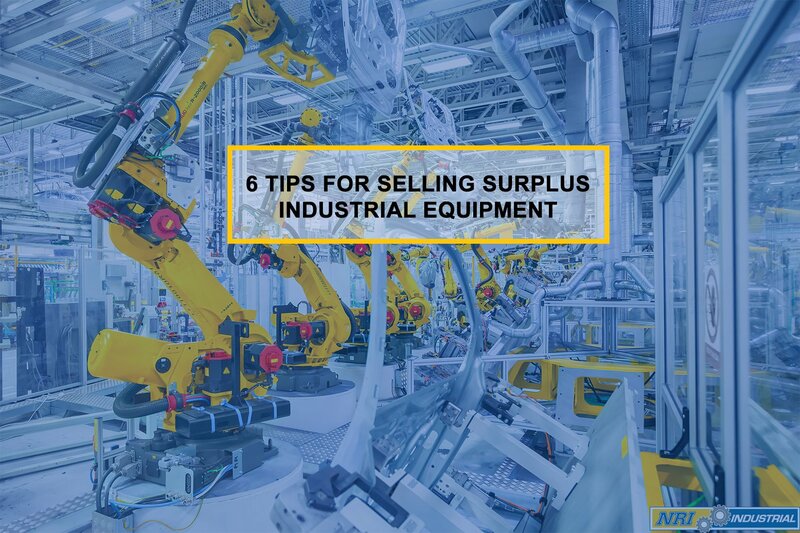 Trying to sell that equipment puts you in an excellent position to free up funds that you can use to buy new supplies, invest in new tools or equipment that will generate value, invest in forward-thinking initiatives that are better aligned with your long-term strategy, and more. It's also essential in terms of freeing up the physical space those assets used to take up, allowing you to allocate it for more pressing purposes. But when it comes to the actual asset recovery process, you certainly have no shortage of options available to you. One of the most popular in recent years has also quickly become one of the most efficient: consignment. In a general sense, consignment is an agreement that involves a seller who sends goods to another party who specialize in selling items. The original seller retains ownership of the items however the third-party holds the item and attempts to sell it. When the item is sold to a potential buyer the money earned from the sale is given to the item’s original owner less the fees, or percentage of the sale previously agreed upon. Consignment within the specific context of industrial asset recovery operates in a nearly identical way, albeit on a much larger scale. Once your surplus equipment has been identified (and in many cases, visually inspected), you will ship them directly to your consignment services partner. Officially, this entity will be known as the consignee. They will then work hard to find a buyer and sell that equipment, at which point you will get paid as per the terms and conditions of your agreement. If those items do not sell, they will likely be returned to you without obligation. Though the details of any consignment sale can vary slightly depending on the parties involved, this is the general concept of consignment. So instead of a large piece of machinery continuing to sit idle on your warehouse floor, you can ship it directly to a consignment partner who will work hard to sell it Not only will this increase the likelihood of an eventual sale for reasons that will soon become clear, but it immediately frees up that space for you to put to better use. Yes, it's true that money isn't exchanging hands right away and depending on your cash flow situation, that may negate the use of this option right away. But for most businesses, consignment is a viable way to address the short-term challenges of housing surplus assets while still improving the likelihood of a sale as well. One of the most immediate benefits of using consignment for asset recovery is also one of the most important - particularly if you've chosen to work with a partner who has experience in these matters. You immediately gain access to detailed and intimate industry and market knowledge that would be difficult, if not impossible, to achieve on your own. These firms spend years developing their knowledge and experience in the industry to maximize potential value for every industrial asset. When partnering with an industrial asset recovery firm, you're getting more than just a service provider. You're getting a team of people who understand the industry and the market with incredible familiarity. They know what is in demand because it is literally their job to do so. They have high quality, well-fostered connections and selling channels that you can take advantage of. They also know precisely how to market and sell your MRO and industrial equipment. At that point, you can stop focusing so much on asset recovery and start devoting all your attention to the most important thing of all: running your business. Another major benefit that you achieve via the consignment method for asset recovery has to do with warehousing. Keep in mind that consignment inventory is assets that are A) in the full possession of the consignee, but that are B) still owned by the consignor. To put it another way, any piece of inventory goes directly into the consignee’s possession (meaning in their store or on the floor of their warehouse), which enables them to sell directly from their stock. So instead of worrying about how you're going to house and continue to pay for the storage and maintenance of an asset while you try to sell it, you get to offload it right away. Access to this type of off-site warehousing and storage can not only significantly reduce carrying costs for a business, but it can also help free up valuable real estate in your own warehouse to put to better and more productive uses. Finally, another one of the major advantages that using consignment for asset recovery brings to the table is one of motivation. Consignment is nothing if not active - you're no longer the only party that has a vested interest in seeing the asset recovery process through to completion. Usually, consignees will only receive payment once your surplus MRO and industrial equipment have been sold. Before that point, they're essentially working for "free" from a certain point of view. Because of this, the consignee is often highly motivated to sell those assets as quickly and as effectively as possible. Their own profit typically depends entirely on it, which means that they don't just want to get something out the door. They also want to secure maximum profit, thus creating a mutually beneficial situation for everyone involved. 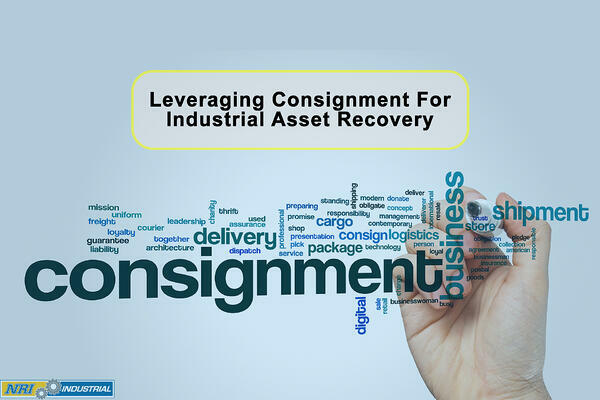 If there are any risks at all associated with using consignment for industrial asset recovery, it would be time. 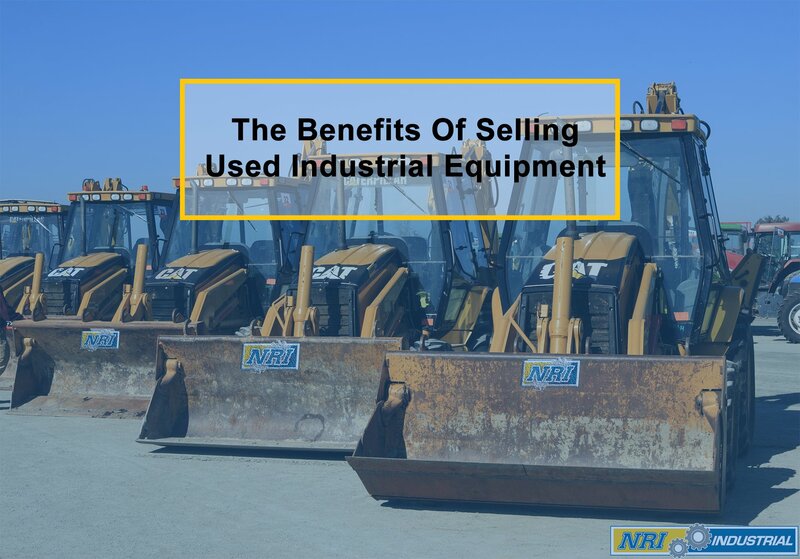 Sales under this method aren't instant, and while it's true that someone is working hard to offload those excess assets, the amount of time it takes to do so can vary wildly depending on a wide range of factors such as type of equipment, use of the equipment, and much more. Therefore, you need to have enough cash on hand as a business to wait potentially extended periods for payments until those assets are finally sold and the transaction is completed. Oftentimes, finding the right partner can help mitigate risk in this area as much as possible - indeed, it's important to never underestimate the power that a properly motivated firm can have during these times. But it's still worth mentioning, if for no other reason than to properly calibrate your own expectations regarding what is about to happen and how long it could potentially take. Consignment isn't necessarily the right path for every organization, as there is truly no "one size fits all" approach to asset recovery. However, those who are positioned to take advantage of consignment as a concept have benefited a great deal, as evidenced by one recent project we worked on with a long time client at NRI Industrial. 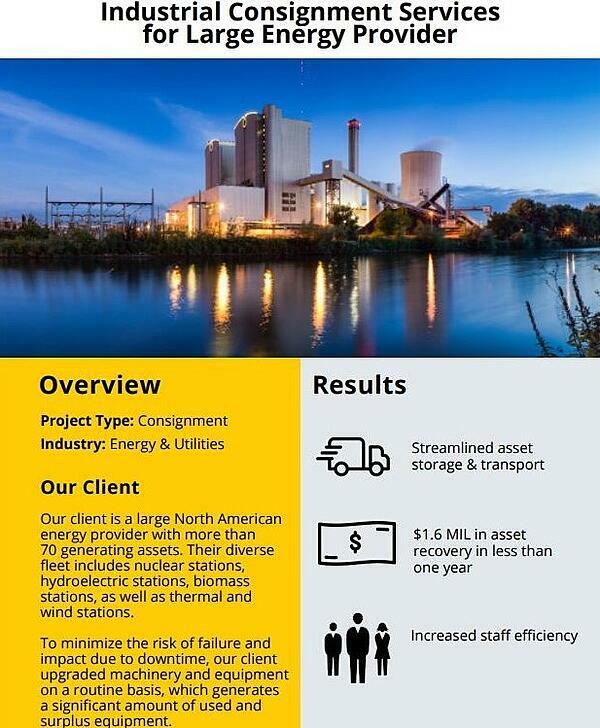 Our Client: Our client is a large North American energy provider with more than 70 generating assets. Their diverse fleet includes nuclear stations, hydroelectric stations, biomass stations, as well as thermal and wind stations. To minimize the risk of failure and impact due to downtime, our client upgraded machinery and equipment on a routine basis, which generates a significant amount of used and surplus equipment. In the end, perhaps the most important thing to remember about all this is that every business is a bit different from the next. Therefore, you can't choose consignment for asset recovery lightly because depending on what you're trying to accomplish and the various other factors at play, it may not be the right move to make for your business at this time. However, if consignment does make sense given the circumstances, it's clear that you'll almost immediately unlock a wide variety of different benefits that you would be hard-pressed to replicate through other means. 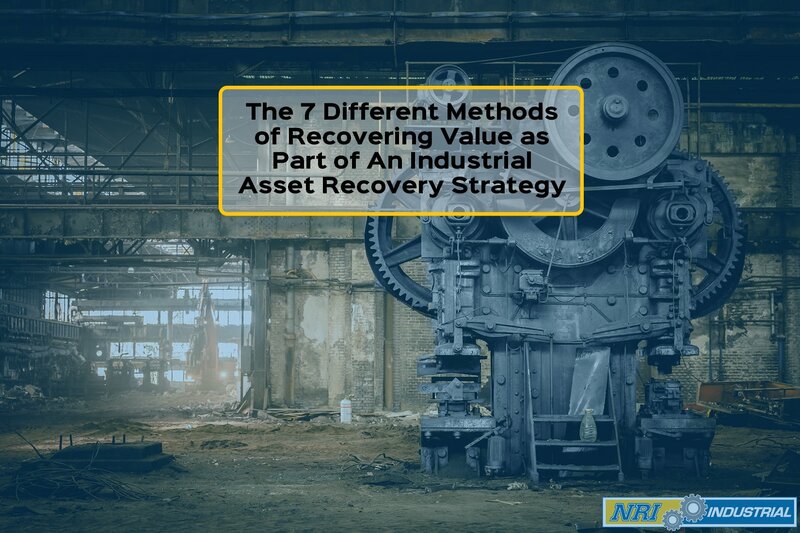 As an industry leader in industrial asset recovery and all related matters, NRI Industrial is a global company that has been helping corporate businesses create and execute better, more robust and more holistic investment recovery strategies for years. In addition to consignment services, we also offer asset liquidation, decommissioning services, equipment purchase assistance and more. Regardless of what your situation is, our goal always remains the same: we want to leverage the full power of our over 10 years of experience to your advantage, helping to create solutions that are specifically tailored for your unique needs and maximizing capital recovered in the least amount of time along the way. If you'd like to find out more information about using consignment for asset recovery, or if you have any additional questions you'd like to discuss with someone in a little more detail, contact NRI Industrial by calling 1 (855) 709-9813 or emailing: Solutions@NRI-ISD.com. Not ready to talk yet? Not a problem! Instead, learn more about asset recovery by reading our latest article on What to Look for When Hiring An Industrial Asset Recovery Firm. Previous Post: What to Look for When Hiring An Industrial Asset Recovery Firm?